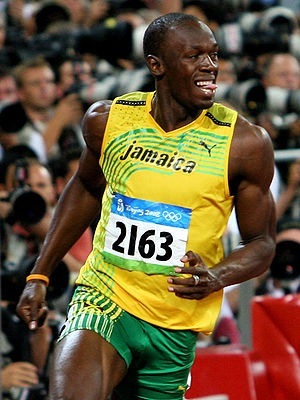 For a while now I have been hearing about Usain Bolt not wanting to compete in the UK in athletics events. This includes Diamond league events were the top athletes travel around the world and race against each other. They can earn huge sums for taking part and if they break any records they are paid more. I watched the event in Paris and Colin Jackson asked Bolt if he would change his mind to come to the UK. He politely explained that to come to England would mean that he would be taxed by the British tax man (otherwise known as HRMC) more than he would earn than taking part in the event. Therefore its not worth it as he does need to provide for his family and his self. Think about it, unless you are volunteering your services, you would expect to get paid. Why should he come to England for the greedy tax man to take more than what he earns from him in tax. The tax man also will demand 1/6th of all money he gets from his worldwide endorsements for the year. He is not even a citizen here. HRMC knows this is a problem in attracting top athletes to compete in the UK. As they have already agreed to lift these rules for the Olympic 2012 games coming to East London. Surely HRMC can make more money by having tax laws that make participating and adding to the UK tax pool (surely they have enough and just need to manage their funds better) more inviting. Oh well, even though Bolt is happy to pay 50% tax HRMC is sticking to their greasy palms. It would have been nice to see Bolt, Gaye, Powell all compete together in the UK. So I do not blame Bolt at all for not coming here to the UK. I also understand more why Lewis Hamilton change his residency. UK tax system does not encourage anyone to earn serious money unless you earn enough that your interest makes up the difference from what the tax man has taken.